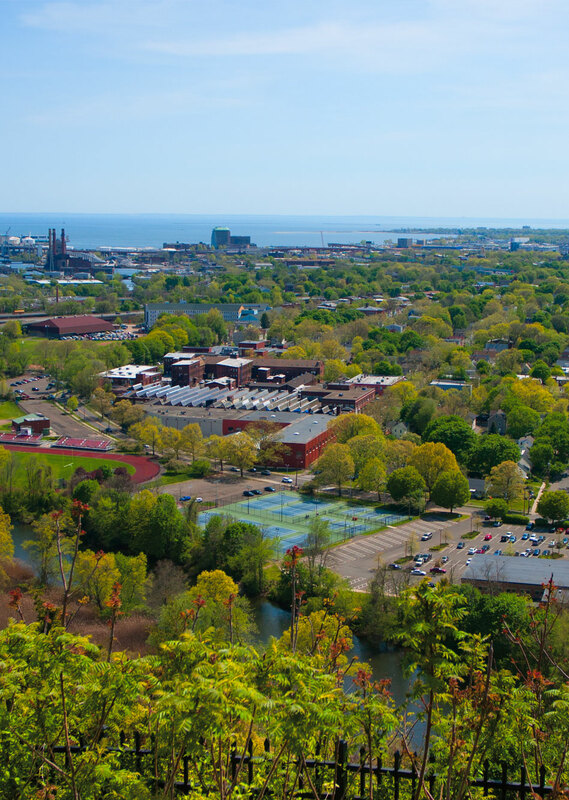 New Haven is the Shoreline’s regional employment, economic and cultural hub—an internationally recognized center for higher learning, anchored by Yale and other world-class universities. Some 17,000 residents of the four Shoreline towns east of New Haven commute to the city for work, and several thousand New Haven residents commute to one of those Shoreline towns. A Bronze-level Bicycle-Friendly Community, New Haven has a large and growing network of bike lanes, trails and paths. New Haven’s trail from downtown will eventually connect with the Shoreline Greenway Trail in East Haven, via New Haven’s East Shore neighborhood. Connecting the Shoreline Greenway Trail with downtown New Haven will not only facilitate recreational and commuting connections between the city and Shoreline towns. It will place the Shoreline Greenway Trail at the foot of the Farmington Canal Heritage Greenway, which runs 84 miles from New Haven to Northampton, Massachusetts. Eventually, we expect the Shoreline Greenway Trail to be a significant eastward spur of the East Coast Greenway—an envisioned 2,500-mile, traffic-free trail system from Maine to Florida.